From the front you KNOW it's an Olds, and just look at that interior! This is my 1976 Cutlass Supreme Brougham. I bought it in September 1997,with 31,963 one owner miles on it. It has the 350 4 barrel engine, PS, PB, PW, PDL, A/C, power trunk release, tilt wheel, cruise control, clock, am/fm stereo, rear sway bar, ralley wheels, and bumper guards. When I bought the car it still had the original rear tires on it from the factory. The under carriage looked like it had never seen a drop of moisture. The interior is in near perfect condition. But I had the car repainted in December 2000,because the 92 year old owner was still trying to drive and it has numerous dings here and there. It now has 37,800 miles on it. I have installed dual exhaust and white letter tires, also tinted the windows. The only mechanical things I did to the car was change the spark plugs( I think they were original too) although I was running smooth anyway. I also had to put on a new water pump. 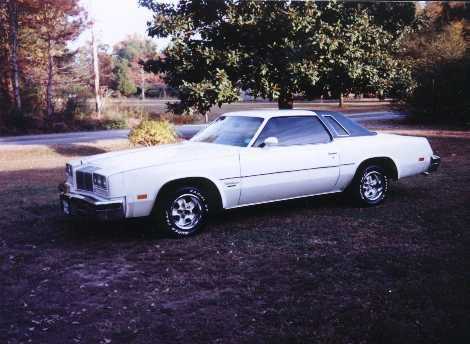 I love all Oldsmobiles, but the 76-77 Cutlass will always be my favorite. I have owned three other 76s and two 77s in the past. 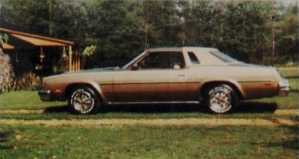 This was my first Oldsmobile, a 1976 Cutlass Supreme. I bought this car from my neighbor with around 68,000 miles on it. It served as my daily driver, and only car, during my late teens and early twenties. It took any abuse a person that age could dish out. It had close to 200,000 miles on it when I stupidly sold it. The engine never used oil and never had been gone into. It was the best car I have ever owned and I still miss it. Although now I have another 76 with just less than 38,000 miles on it, somehow that car was still the best. 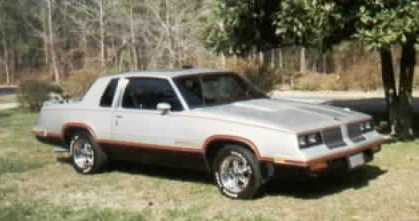 This is my 84 Hurst/Olds,I bought in 1993. It had 72,000 miles on it when I bought it. It had every option including the rare moonroof and posi-trac rearend. The interior was in immaculate condition,and the paint was very good too,considering it was silver. I used it as a daily driver for about a year. This car turned heads of all ages. It looked as good as the day I bought it when I sold it with 96,000 miles on it. Since I had no garage to keep it in,I decided to sell it, and got more than I paid for it. 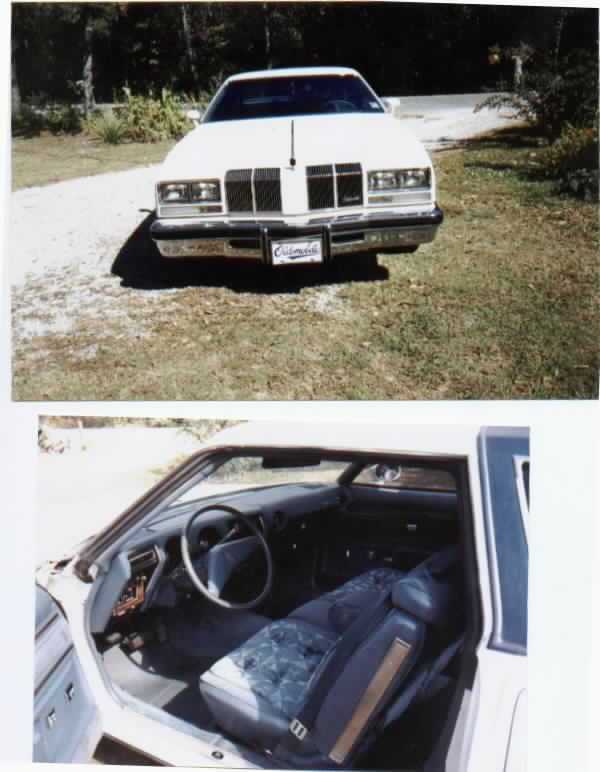 Webmaster's note: Meet Ronnie "76Cutlass" on Rocket Talk!